A recent report suggests that Apple is aiming to launch two new iPads in the coming year. It appears that some similar sort of news of two iPad in one year we have heard before as well. The report is published by DigiTimes, a Chinese newspaper and online website dedicated to supply side of the computers and electronics industries. However, we believe that the report is just a speculation based on different rumors. Report says that “sources from the upstream supply chain” claim that Apple is prepping to release two completely distinct iPad devices in 2012. 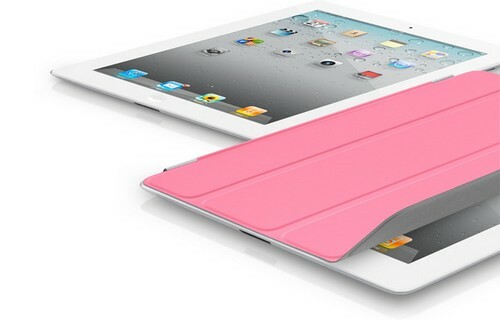 According to reports, the first iPad device will be a minor update to the current iPad 2, known as iPad 2S. It will be launched with faster processor and better battery life. The unknown sources told DigiTimes that the device will be released in March 2012. However, the second iPad will be a completely new device dubbed iPad 3 and will be available by the third quarter of 2012, reports claimed. If we recall the earlier rumors, the device will launch with a quad-core A6 processor, while having 2048×1536 Retina Display. Apple’s new generation iPad will enter mass production soon with the launch set for March 2012, according to sources from the upstream supply chain; however, the sources revealed that internally Apple does not view the new iPad product as iPad 3, but rather an upgraded iPad 2 and the real iPad 3 will not be launched until the third quarter of 2012 at the earliest. Earlier this year, we have heard some similar sort of news where the reports surfaced suggesting two iPad will be launched in a year. It all started when Apple released a substantial upgrade to the original iPad 2 and rumors surfaced that company hoping to launch another iPad later this year under iPad 2 HD or iPad 3 names – both will feature Retina Display. However, the 2011 year is about to end and there are not reports of any new device until the first quarter of 2012. The reports from DigiTimes cannot be taken as authentic considering the Apple’s strict approach towards keeping things secret until they are happened. So, assuming two iPads next year at this stage won’t be a good idea. Wait until Apple made some official announcement and till then take this report nothing more than a pinch of salt.